The House just passed a revised healthcare bill which also allows for the ACA to be withdrawn. Yes, I know this bill needs to be sent to the Senate as well. However, this is one step closer to a very scary reality for many many people, myself included. It also comes with the realization that 217 people have just stated that they are alright with the idea that my daughter and so very many like her could die. I know some of you are saying that this is jumping to extremes. Let me tell you about extremes. 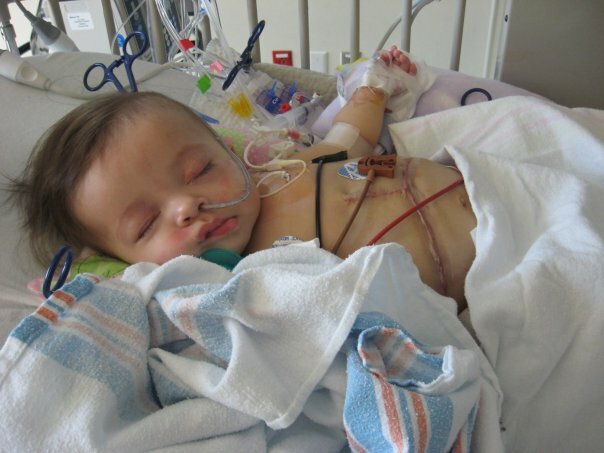 Extremes is when your first child, the child you tried SO very hard for 5 years to conceive is born with liver disease. This disease attacked your child through no fault of yours or your child's. When she is three days old you are faced with the possibility of having to leave her behind at the hospital because she is too sick to come home with you. Extreme is finding out at just 11weeks of age she will have to go through not just one day of testing, but two and then a lengthy and dangerous surgery. Extreme is finding out that your perfect child was born without a gallbladder so they could not even perform the one last test they wanted to. Extreme is watching your child's belly swell to the size of a basketball due to all of the fluid collecting in her abdominal cavity. And then listening to her scream in pain every time her belly was drained. Being told that your child has developed the very infection most common for that type of surgery right away while you sit and just watch because you can do nothing to take away her pain or make her magically better. Extreme is finally getting to come home after almost 20 days in the hospital only to go back a week later for another infection. Then you get to stay a week, come home a week, go back again for a week and so on. After a few months of this, you are told your child is one of the unlucky 33% who will need a liver transplant sooner rather than later. 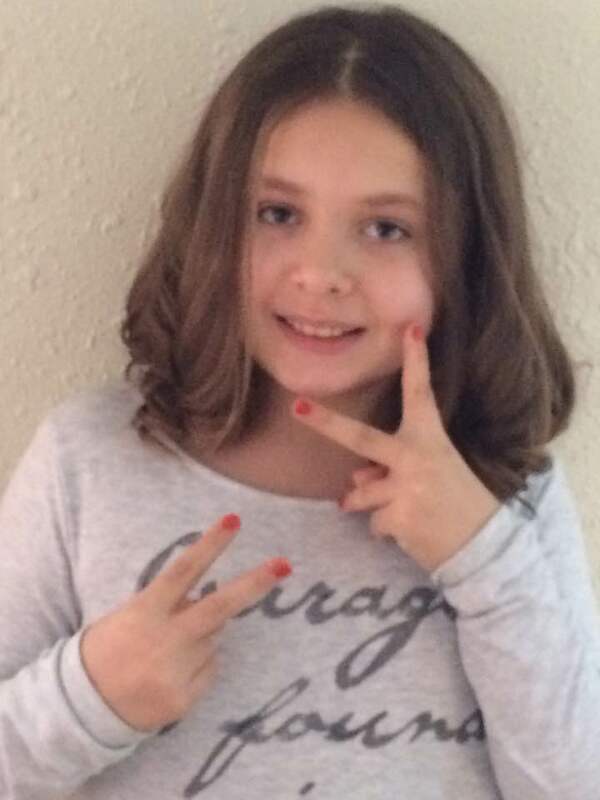 Extreme is asking complete strangers to volunteer to give your daughter part of their liver so she can live and watching the outpouring of how many people just simply say "Yes". Extreme is getting the call that a liver has been found for your tiny little girl and being told just come to the hospital in the morning, no rush...when you know it should have been a rush, but that means the child you are getting the organ from hasn't been removed from life support yet. 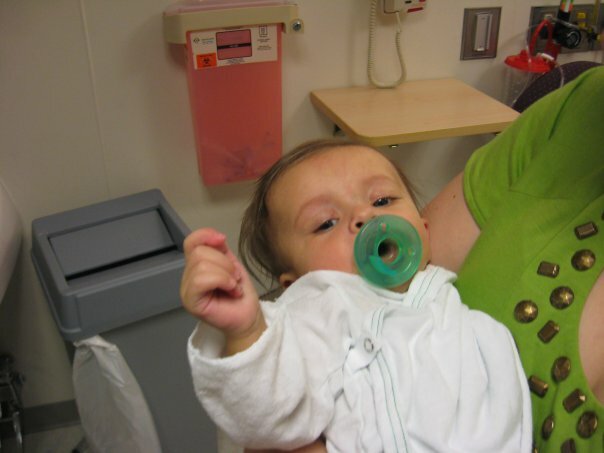 Extreme is handing your 5 month old baby over to complete strangers for a surgery that lasts 10 1/2 hours only to be told afterwards that your child might not have made it to Christmas by the surgeon, which was only about a month away, because she was worse than they had originally thought. Extreme is 2 months of isolation and continued life saving medication twice a day every day for the rest. of. her. life. just so she can live. Extreme is watching your beautiful almost 9 year old child be ashamed of the scars she has because she was born with a disease that no one can predict, no one can tell her why she contracted, and no one can cure. Transplant is not a cure. It is simply a treatment. If this bill goes through, she could be dropped from her insurance along with so many other children with pre-existing conditions. She could be forced to change hospitals or healthcare providers. She could be labeled high risk. All of these things could lead to her eventual death. 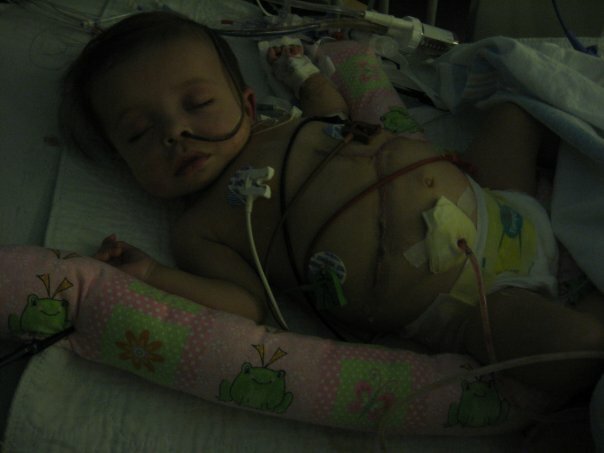 Just because she was born, someone found it in their heart to save her life when they lost their child, and she lived. That's it. That is all she has done. Granted, she could not be dropped from her insurance. They could just raise her deductible and lower her coverage so much that we, as her parents, can no longer afford to pay for her medical care or she is refused from treatment because the Hospital isn't getting paid for her care by the insurance or us. Again, all she did was live. Tell me why it's ok for a little over 200 people and the POTUS to say it's ok if she dies. Also, think about this. If you are not ok with abortion but are ok with children (even adults) losing their life because they have a pre-existing condition, you no longer get to call yourself Pro-Life, you just get to call yourself anti-abortion. Plain and simple. Edit: For those of you wishing to share, please feel free. (Copied from Monkey's blog) Four years ago today Monkey received her gift of life. Her liver transplant came just a few days after her daddy had gone through all of the testing to become her living donor. In that time, a family was faced with the choice of letting their little one save other lives and they said yes. We are very much aware of how important and how difficult their decision must have been. I cannot sit here and say that I know how they felt that day, and still feel today on the 4 year anniversary of their loss, because I do not. I hope to never know what it is like to lose a child and to be faced with the decision they were faced with in 2008. I can say that I look at Monkey every day and even though we know nothing really about her donor, I see him in her every day. I see the gift that we have been given. I see the time, hope, love, and happiness we have been given. We have been truly blessed by our donor angel and his family. We continue to teach Monkey (and her sister) about love, support, and the true meaning of selflessness. I have to say, however, that I have learned so very much from Monkey in these 4 short years. She has taught me the true meaning of compassion. Her heart is so very big and so very open. She has so much love to give and gives it freely. It is hard to imagine that she may not be here today without her new liver. We always try to tell new liver families that we meet that Monkey is not the typical liver baby. She really never has been. As I look back over the posts I made in the weeks leading up to Monkey's diagnosis I am amazed at how much her little body fought the terrible disease she had. She even responded to medicines that were not even designed to treat her specific liver disease. She never really cried or fussed about how uncomfortable she was. These trends carry through to the little girl she is becoming. She gets sick, but never complains about it really. She is one of the strongest little girls I have ever seen. She loves her sister with all of her heart even if they get on each others nerves. She loves her grandparents, her dog, her kitty, and misses her Pop more than anything. All of these things we wouldn't see had it not been for her donor angel. We love him and truly hope that his family knows exactly how much we appreciate and love them as well. We honor their loved one in how we teach Ember to care for and to love others and in how we will continue to teach her about her gift and the true meaning of sacrifice. We hope that the legacy we leave behind for her donor angel will be felt and heard by many and everyone who comes into contact with her will learn from her. Even if it is in a very small way, even at 4 years old she has so very much to teach us. We are so blessed to have her in our lives. Rockabilly began as a music genre, but is now considered a subculture who's style of dress is heavily influenced by the 1950s. I basically wear my hair one of two ways right now, though I am trying to learn a third and it fits me. I feel pretty and like I actually look good. I know that people stare at me because I look different and this time, it's OK. I actually enjoy it rather than feeling like I am some freak. I feel like I was meant to find this look. I feel better about myself when I dress up like this than I ever have before. For those of you that know me well, know that is HUGE! I feel like I belong. Period. Again, that is HUGE! It is a style that is very easy to dress up while being comfortable. I'm a t-shirt and jeans girl at heart and this style allows me to do that while still being a pretty girl. Here are a few more pics that I love. Oh! And my shoes! LOVE them! We love you so very much little Mouse and can't wait to see you grow and change. My little Monkey received her gift of life three years ago today!!!! Happy transplantiversary! I love you SO much. (So do daddy and sissy) Thank you Donor Angel for letting us have our little girl, we love you! ...so little room inside my head! That is how I am feeling lately. I have so many things going on inside my head right now that I wish I could just hit the pause button. Most of it revolves around what I am going to do about this whole losing the band issue. A lot of the thoughts aren't even my own, they are everyone else's. It's like I have this pollution of other opinions in my head that I can't seem to shake. Not that other opinions are always a bad thing, it's just a lot right now. Some of the thoughts are about school and wondering if I am even going to make it through this crazy semester. Also wondering if I can even get a good enough grade on the test I have to take to apply for nursing school. Ugh! First off, I still don't know what the answer is for the issue of losing my band. Admittedly, I suppose I really shouldn't since it hasn't even been a whole month since it had to come out. I just wish there was an easy answer. I wish I could reassure myself and everyone else that I've got it handled and know what I am doing. The truth is, I have no effing clue! I'm not even back to 100% yet so I suppose I shouldn't worry about it, but I am. I am gaining weight back and it's depressing. I am hearing from everywhere, including my own mom, that I don't need the band. That I can do this on my own. I can absolutely see where everyone is coming from, especially mom, given what I have been through. However, if I didn't need the band and really could do this on my own I wouldn't have gotten it in the first place. Every other tool I have ever used has failed. Or, well, I have failed at using it. This was the only tool that ever worked and worked well for me. On the other hand, no one can guarantee what happened would never happen again. I'm not sure I am ready for a more invasive procedure. I wasn't when I got my band the first time. I just don't know yet. I feel like I don't belong anywhere right now. I mean, I have had WLS, but I don't have my tool anymore, so I technically can't say I belong with the WLS group anymore. Plus, having had WLS, my outlook on certain things is different, and people still don't understand why. Especially now that I don't "have" to follow the rules. So, I really don't belong with the non WLS groups either. *sigh* I am just sad, angry, and confused about this whole mess right now. As far as school goes, I am going to trudge through, but I am worried. I have been trying and trying to get prepared for applying for nursing school and something always comes up. I have been trying to apply now for 3.5 years and it still hasn't happened. I have to take a college mandated test and get a certain percent on the math portion in order to even be able to apply. So far, that hasn't happened. *Sigh* This semester is going to be rough as well. I am taking Anatomy & Physiology 1 & 2 at the SAME TIME! Why yes, I am crazy! Thank you for asking! I have to if I want to apply for next years nursing program. I need to re-take A&P 1 to get a better grade and I have to take A&P 2 because it has to be completed by the end of this semester. Never mind the fact that this is my THIRD TIME taking these classes. All schools have a 5 year window on their sciences! Which, imo, is ridiculous! The one good note I do have right now is that I have started the C25K program over again and it is going well. I finished Week 2 Day 2 this morning and it was good. I think I am a little slower now than last time, but as I said above I am not completely myself either. I can't wait until I feel better and can get through the day without being so exhausted I can barely keep my eyes open. I am sure my Monkey and Mouse can't wait for mommy to get back to 100% either. So, a lot has happened since my last post! Unfortunately most of it is actually pretty bad. I did make it through week 5 of the C25K training before the bad stuff happened! Very excited about that! So, I will just kind of lay out timeline for everyone starting on July 10th. Warning, this is kind of long! I woke up with a slight bit of pain in my chest when I coughed. I had this annoying dry cough for going on 3 weeks now, so I really didn't think much about it other than I would be calling my Dr again on Monday to see what else we could do. We had planned on taking the day to go looking at e-readers and taking the girls to Build-A-Bear to use their yard sale money. We went to Best Buy first and by the time we got there, my pain had gotten a little worse. It was getting a little difficult for me to walk around a lot and the girls were being little heathens so we left after about 30 minutes of looking. We then went to the mall and got the girls to Build-A-Bear. By then I was hurting more when I just tried to take a deep breath. I was concerned that I was having an issue with my band, so I called the surgeons exchange and was given no real decent info other than if it gets worse, go to the ER. Ugh! By the time we got home, the pain was unbearable and we decided to take the girls to my mom's and head up to the ER. We went to the ER at the hospital where I had my band done at just in case it was a band issue. When we got there, I was given blood work, a CT scan, and an EKG (because of the chest pains). They also had me do a Urine test, but I haven't a clue why. They NEVER came and took it to the lab. Also, for half the time I was in the ER, I didn't even have an arm band. I mean, they had no clue who I was with nothing to check it against. Anyway, the CT scan was normal so they said that they thought I had a condition called Pleurisy. They gave me a shot of pain meds and sent me home with an prescription for pain pills and told me to drink lots of fluids. O.k., great. I can do that. Well, while we were waiting at the pharmacy, I took a few drinks of Apple Juice and suddenly got a horrible pain located at the base of my sternum and it shot down to my left lower abdomen. It was horrible. I couldn't get it to stop. I was worried about a UTI and was just going to call the Dr the next day if the pain didn't go away. 07/11 - The pain didn't go away. In fact, it was worse! So bad that I couldn't move or be touched without screaming out in pain. My mom was here taking care of me and started calling all three of my Dr's. (OB - just in case it was something related, Primary care, and lap-band surgeon) ALL of them said to head back to the ER. I was terrified. It is about a 30 minute car ride and the pain pills were not helping me AT ALL! So, we get back into the car and make the long, horrible drive to the ER again! They did another CT scan, this time of my whole abdomen and chest, drew more blood, and called the Lap-Band interns (or as I call them ducklings) in to see me just in case. They, again, did no urine test. The interns decided to take fluid out of my band to see if that would help at all with my pain. It did slightly with the pain in my chest, but did nothing for the pain in my abdomen. After a long wait, the Dr came in and told me "Well, the CT scan doesn't show anything so we aren't sure what is wrong. We are going to send you home with a medication that helps with Ulcers just in case you have one. Follow up with your surgeon and primary care tomorrow." I asked point blank if the pain could be from a cyst on my left side. He told me, "Well, you have a cyst, but it's on the other side." That was fine. I have known about a cyst on the right side for awhile now, but it's never caused problems. As the Dr. kept talking he confused me by referring to a cyst on the left side too. So, I then asked, "Do I have a cyst on the left and right side?". He said yes, the one on the right was smaller than the one on the left. I was SO confused! I asked to see the CT scan report so I could give it to my OB when I saw him. When I got the CT report I was even more confused and mad. The CT report mentioned NOTHING about a cyst on the left side! So, home we went. All the while, I am in unbearable pain. I cried the entire ride home I hurt so bad. 07/12 - The huz stayed home with me. I couldn't move at all without yelling out in pain. I called ALL of my Dr's looking for appointments that day so I could get an answer for my pain. No one could see me until Wednesday. I was SO angry. I actually told my primary care's office (after I got a lecture about going to the ER I went to rather than the one they are associated with) that I felt like I was going to die before someone cared enough to figure out what was wrong with me. So, I spent another day wallowing in pain. The only saving grace I had was that the pain meds would put me to sleep even if they didn't numb the pain. I had three Dr's appointments the next day beginning with my Lap-Band surgeon. And later in the day they called to tell me that I couldn't have anything to eat or drink after midnight. And, oh by the way, no pain meds either! 07/13 - I was in so much pain, I was reduced to riding in a wheel chair to the Dr's office. I cried on the way to his office in the car, on the wheel chair ride from the car to his office, and while in his office waiting to see him. When I finally saw him, he elected to admit me into the hospital right away. He wanted to do an upper GI to see of there were any ulcers, tears, or erosion in my stomach that would be causing this. NOT what I wanted to do, but I needed answers. And, honestly, after 3 1/2 days of constant pain I was worn out and couldn't really fight anymore. So, we do the GI scope and find NO answers. I was told that the next option would be surgery to put a camera into my abdominal cavity to see what was actually going on. If the band was infected it would have to be removed. So, I go down for surgery and find out that because of the infection my blood sugar is well over 400!!!!!! So, then we start with the insulin on top of the pain meds and anti nausea meds I was taking. After surgery, I wake up to find out the band was removed and I had two drains as well as two open incisions that had to be packed every day! I was told that I had a "female infection" that also affected the band so it had to come out. I was on three IV antibiotics and two different pain meds as well as anti nausea meds. 7-13 through 7-16 - I endured 4 days of hell in the hospital. VERY not impressed with them. I had no answers and no real care at all. My mom came up on Friday and helped give me a sponge bath because no one at the hospital had offered. Thursday I was left in the bathroom for 30 minutes with no help at all and I only saw my nurse 3 times her entire shift! Any time I asked what the labs were for, I got the answer of "We just need to get some labs". Finally on Saturday I had enough and got my mom to come up to talk to the Dr's. I really felt like either I needed to be transferred to another hospital or be released! It was THAT bad. I also felt like maybe I was just too foggy from the pain meds and making a lot of it up or not remembering I did have answers. Well, it wasn't me and I didn't have answers. Mom didn't really get any either, but I was released. I think it was more because they wanted to get me out of their hair! SO, fast forward a week and I am still feeling bad. My OB is VERY concerned about the care I received and basically offered to completely take over my case even though it really wasn't his issue. He did an exam and ultrasound and really didn't think that I had any "female infection" at all, but couldn't tell unless he saw pictures from my surgery. He was trying to get them, but the hospital wasn't playing nice with him at all. I had called several times and finally got a release from the hospital so he and I can both see my records. I just wanted answers! Today I got a few. I saw the surgeon and he sad that he still thought it was some type of female infection that started the whole thing. He also said that it could take up to another month for me to feel completely normal again. That was not news I wanted to hear. He was very concerned about how I felt and that today is my last day of antibiotics. He told me that the cultures they took from my surgery grew gram positive virulent cocci. It is just a type of bacteria that you can get. He is confident that the antibiotics he gave me are treating it, but wants to make sure that I was on them long enough. So, for now I still have a sharp pain in my back whenever I move the wrong way or take too deep of a breath. He said that he thought it was muscle or nerve related and it would take time to go away. I got the staples removed so I can try to lift the girls now. Not sure how that is going to go. And I am still out of breath when I do very little activity. However, I am here and progressing. It was very scary not knowing what was wrong with me. I truly thought that I might die. It was to the point where I was going to start writing letters to my girls just in case. It seems overly dramatic now, but I can tell you that nothing I have ever gone through has scared me like this. It still kind of bugs me today when I think about it. Hopefully time will help. Jeannie, Jane, Angel, Mommy, etc..
A pediatric trauma RN with a husband and one crazy little one and two crazy not so little ones. This blog is about life as I know it. It includes ups, downs, insecurities, lots of antics from the children, talk about school, and much more. I hope you find hope, joy, insight, a sense of familiarity, and even some laughs as you follow me on this journey. Welcome to the craziness that is my life. "And we'll have funds, funds funds..."